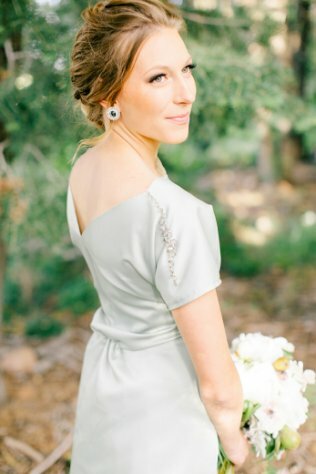 This bride couldn't be prettier with her simple and elegant updo and natural makeup. Her bold eyelashes draw attention to her gorgeous blue eyes. Photography by Ciara Richardson.